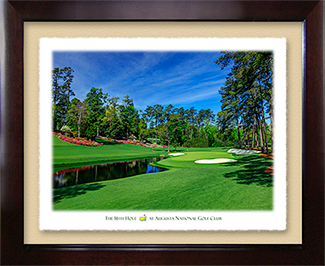 The “Azalea” hole is the last of three holes that comprise Amen Corner at Augusta National Golf Club. 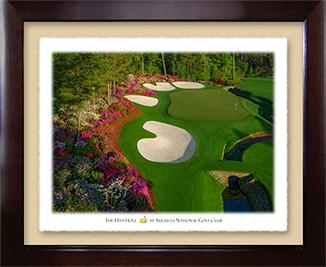 The stunning par 5 features Azaleas, Dogwoods, white sand bunkers and plenty of drama during the Masters® Tournament. 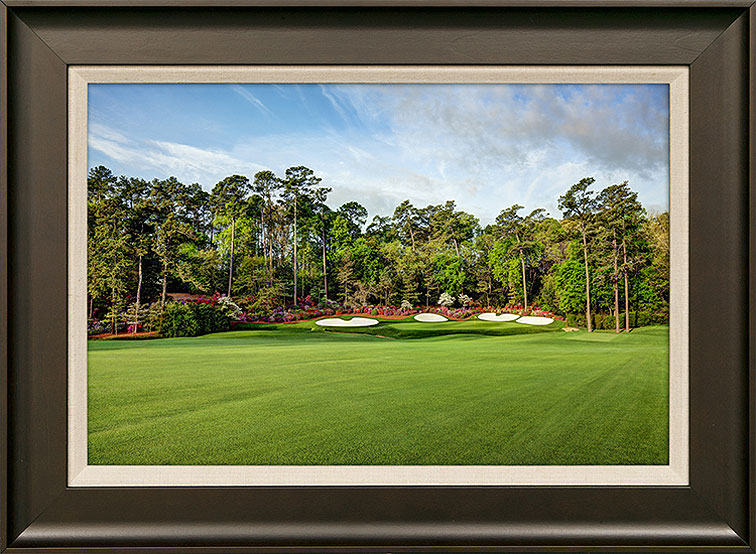 This stunning archival image is on canvas, the image is 17.5 inches wide by 11.5 inches tall. 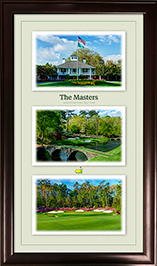 The frame is a dark mahogany wood with a tapered canvas inset measures 22.5 inches wide by 16.5 inches tall and is 1 inch deep. All the materials involved are archival, designed to preserve the quality for generations. Signed by the photographer.